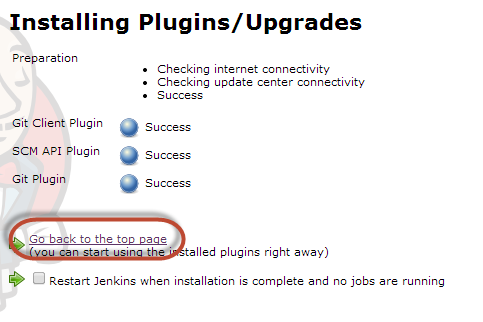 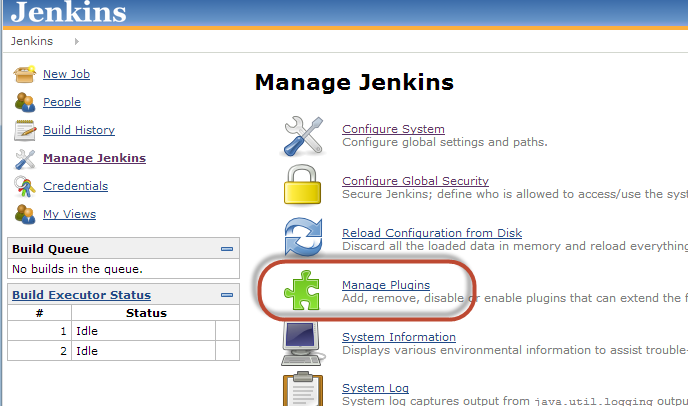 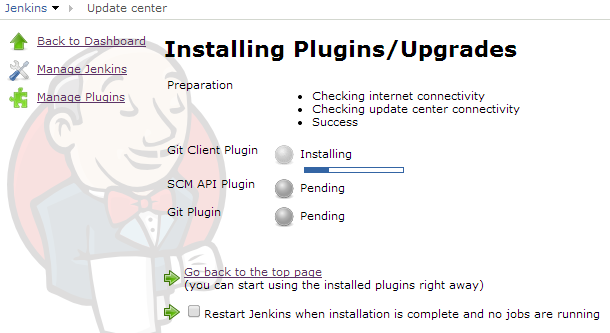 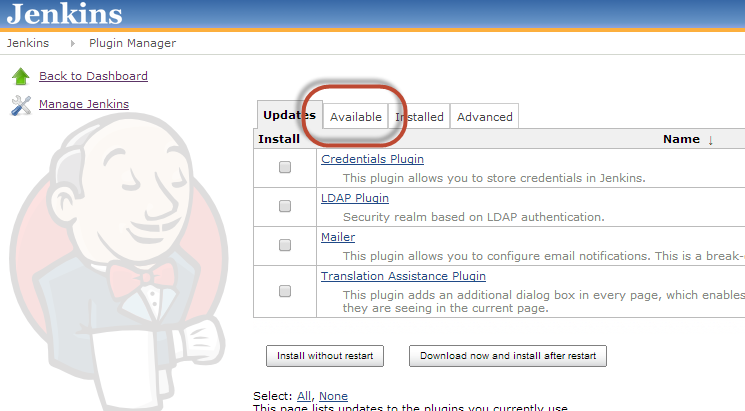 This guide will go over installing the git plugin for Jenkins. 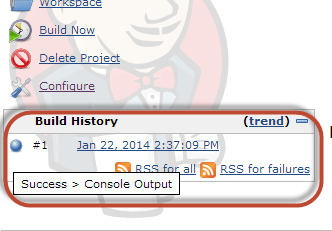 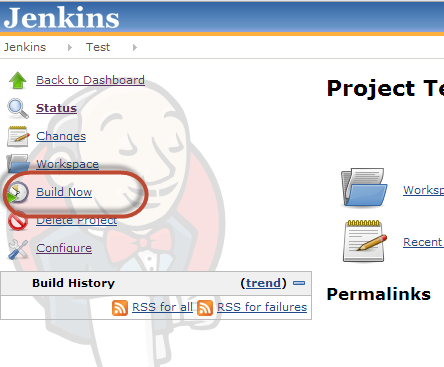 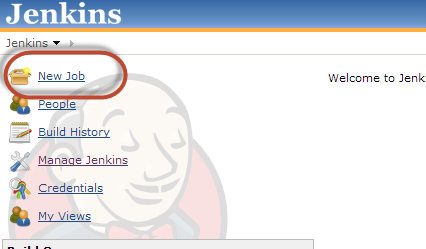 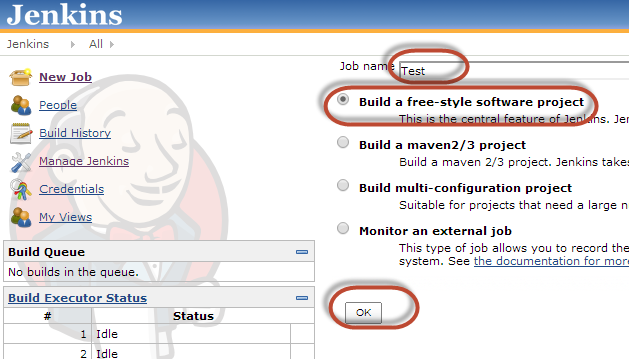 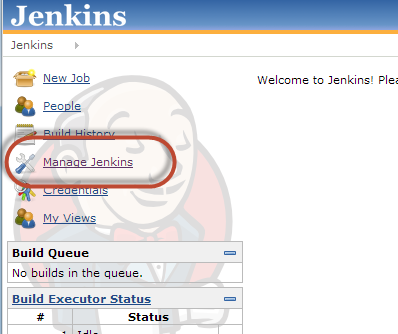 Jenkins already installed and running (Very basic setup). 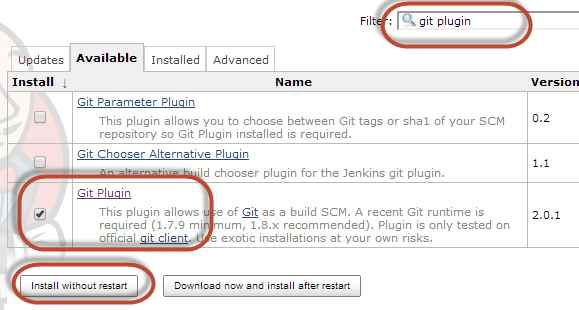 In the filter enter "git plugin"
Then select "Git Plugin" and finally click on "Install without restart"
After the plug-in is successfully installed click on "Go back to the top page"
Select "Build a free-style software project"
Select "Git" then enter your remote repository connection url. 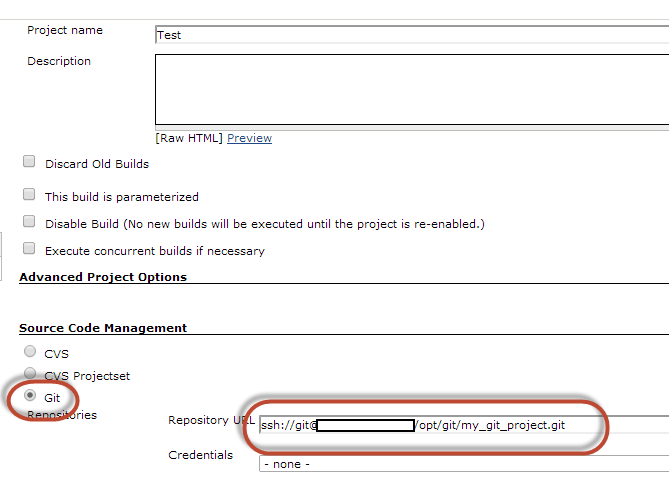 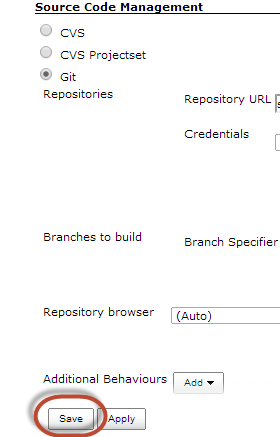 This is a very simple deploy, all it does is download from the git remote repository.